Since it began in 2007, the Folds of Honor Foundation has provided more than 10,000 educational scholarships to the children and spouses of those killed or disabled while in active duty –- committed to ensuring that no military family is left behind or forgotten. 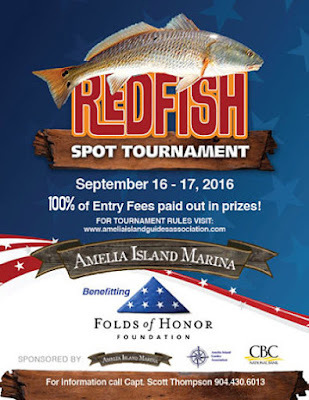 On September 16-17, 2016, Amelia Island, Florida will be the site of the 2nd Annual Redfish Spot Fishing Tournament to benefit the Folds of Honor Foundation. This event is open to ALL anglers of ALL ages whether they are fishing from shore or a powered boat, kayak, canoe, bridge, pier, etc. Co-hosted by Amelia Island Guides Association and the Amelia Island Marina. NorthPoint Paddles is honored to participate, across the miles, in this special event by donating a Greenland paddle – the Kinloch model – to be auctioned off for such a worthy cause.